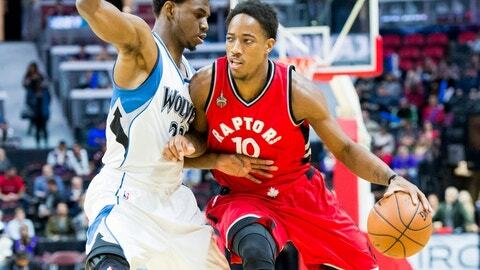 The Raptors travel to Target Center to play one of the most intriguing teams in the NBA, the Minnesota Timberwolves. They have lost four in a row and will be eager to arrest this slide against the Toronto Raptors. Hall of Fame Football Coach Bill Parcells said “you are what your record says you are”. In the case of the Minnesota Timberwolves, don’t let their 19-33 record fool you. The Wolves have blown a lot of close games and are clearly a better team than their record suggests. Their points per game differential ranking positions them as the 19th best team in basketball. Their win-loss record ranks them as a bottom six team in the league. The Wolves slim playoff chances are fading fast. They have lost ground recently in the chase for the 8th seed and need to start winning games especially at home. Timberwolves shooting guard Zach LaVine is out for the season with an ACL injury. This is a huge bonus for the Raptors. LaVine shoots 39% from three and is averaging 19 points as a starter this season. With LaVine out, the starting minutes will be given to Brandon Rush. The 31-year-old was adequate earlier in the season when LaVine sat out a couple of games due to a hip injury. We can also expect to see more minutes for Shabazz Muhammed and Tyus Jones in the backcourt. 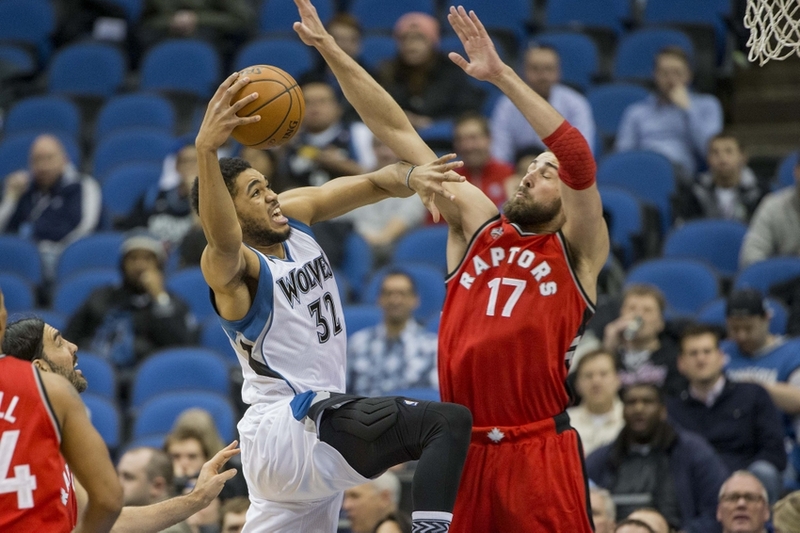 The Raptors can expect the Wolves to play hard and press the ball with their youthful squad. The Raptors beat them in a close game in Toronto earlier in the season and the Wolves will want to exact revenge for this. It’s always fun to watch Toronto-born shooting guard Andrew Wiggins. He is averaging 22.2 points a game but missed a game winning shot at the buzzer in the Wolves last game against Miami. Stop Karl-Anthony Towns– He is averaging 23 points and 12 rebounds this season. 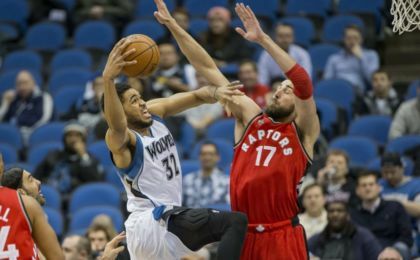 The matchup between Towns and Jonas Valanciunas will go a long way to decide who comes out on top. Towns finishes well at the rim, has the midrange game and can shoot the three confidently. If Towns finds his touch and is shooting well from 3, it could be a long night for the Raps. Isolate Rubio – Ricky Rubio is many things; an excellent passer and defender. However, he is a poor three-point shooter and if the Raps can isolate him in the pick and roll, the Raptors will have success. Rubio is a bad pick and roll scorer, he shot 36% from the field last year in PnRs. Weather the storm – the Wolves are able to score very quickly and in short bursts, if the Raptors can survive 13-0 runs and respond well, the Timberwolves inexperience will show. The Raptors need to stay disciplined and patient, go on a run and watch the Wolves mentally collapse. With Demar DeRozan back, we can expect him to do what he does well and put up big scoring numbers. The Wolves offense is limited without Lavine and a combo of Rush/Muhammed shouldn’t scare the Raptors. The Raptors have won two in a row against a bad Brooklyn team and a Clippers team without Chris Paul. With our all-star backcourt back together, I fully expect the Raptors to win a close and thrilling game in Target center.